WebMatrix is a free web development tool from Microsoft that includes everything you need for website development. Start from open source web applications, built-in web templates or just start writing code yourself. It’s all-inclusive, simple and best of all free. Developing websites has never been easier. To get started creating websites, just download and install WebMatrix using the Microsoft Web Platform Installer. Your website will be up and running less than 5 minutes! Once WebMatrix is installed, it makes simple to get and install the latest version of your favorite free web applications such as WordPress, Joomla!, DotNetNuke and Orchard. WebMatrix provides you all the tools and features in a single unified user interface - IDE. No longer you need to switch between multiple applications to perform common web development tasks. With WebMatrix it's just a click away from editing your files or managing your databases. When you’re ready, WebMatrix provides a no-hassle way to show the world your website. You would be able to create and configure Publishing XML from our WebsitePanel control and use it to Publish your website directly on our web hosting environment. 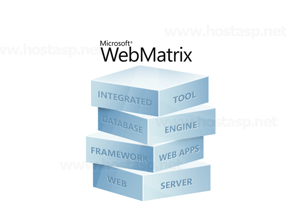 WebMatrix is a brand new web development tool from Microsoft that includes everything you need for website development. HostASP is 100% WebMatrix Compatible web hosting provider. With WebMatrix Start from open source web applications, built-in web templates or just start writing code yourself. It’s all-inclusive, simple and best of all free. Developing websites has never been easier. 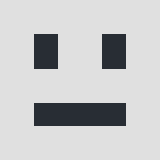 Issues with WebMatrix 2 application running on your server?